As market regulators move towards more disclosure-based regimes, one of the biggest risks to a successful public listing is the lack of full disclosure. This is increasingly true in emerging markets due to the unavailability of reliable information. The collection of reliable information about an issuer for the offering document can be particularly difficult for financial and other advisors who have not conducted full investigative due diligence. Total Credit performs value-added analysis to help decision-makers address and mitigate risk, protect assets, make informed decisions and maximize opportunities in the Greater China and Asia Pacific region by bringing a comprehensive approach to business critical investigations. To provide a more comprehensive understanding of the issuer and to identify risks at the earliest possible opportunity. Potential conflicts of interest arising from the involvement of candidates’ senior management in other competing, but undisclosed businesses. Undisclosed industrial labour disputes or fines relating to the lack of environmental and social governance. The IPO due diligence process should not just examine financial statements and legal documents, but closely examine individuals and other related organizations. 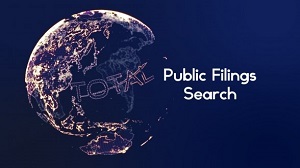 Our TOTAL Pre-IPO Due Diligence includes a review of the client’s draft prospectus to identify potential areas of risk. We consult with the IPO sponsor and legal advisors, who may wish to raise their own areas of concern in relation to an issuer, to establish clear objectives and scope of work. Our services involve the collection, collation and analysis of information from a wide variety of sources including the use of in-house proprietary databases, online resources, media, public records and corporate filings by our in-house Global Investigation & Credit Risk Analysts, who also conduct discreet inquiries with knowledgeable industry sources, government and regulatory bodies and other related parties and individuals such as suppliers, customers, distributors and competitors.